DAVID LE/Staff photo. 3/7/15. 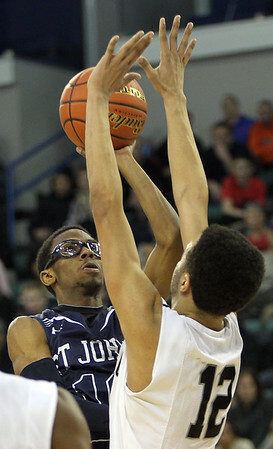 St. John's Prep senior Kareem Davis (10) hits a floater over Cambridge Rindge&Latin senior Marcus Collins (12).